Tide Tables provide predicted times and heights of the high and low waters associated with the vertical movement of the tide. 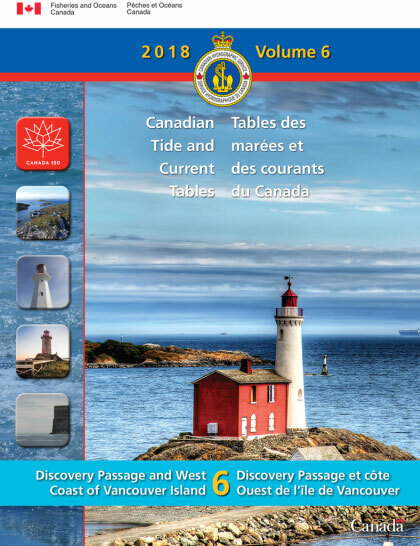 The tide predictions are available in table, graphic and text formats for over seven hundred stations in Canada. The Current Tables provide predicted times for slack water and the times and velocities of maximum current, all of which are associated with the horizontal movement of the tide.